Has your child recently turned 3 or 4? If so, then you may be wondering when she should begin school. If your child is still too young for kindergarten, then you may benefit from enrolling her in pre-kindergarten . Continue reading to learn about what to expect when your child joins pre-k in Pembroke Pines. Pre-kindergarten programs consist of daily activities and classes that are designed for children around the age of 4. 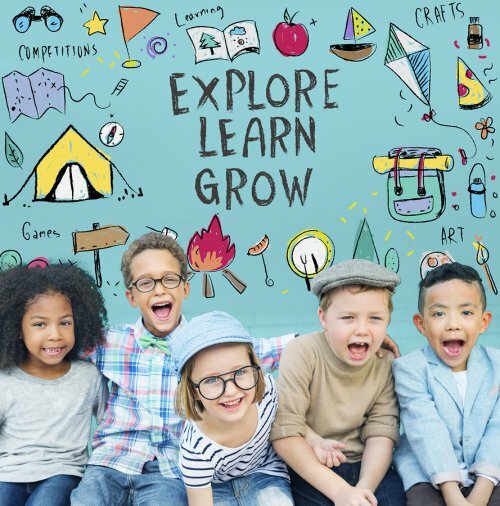 Focused on providing fun, fostering creativity, and preparing children for future academic success, pre-k activities can include games, projects, and experiences that encourage children to enjoy learning and that teach early math, reading, language, and social skills. 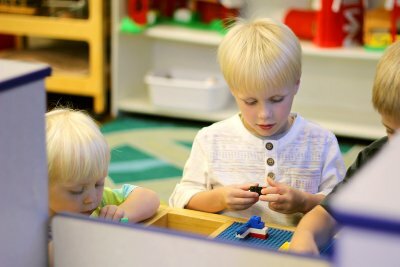 Because pre-kindergarten introduces your child to a traditional academic environment, this type of program can help ensure her success in later grades. At the same time, pre-k provides day care for children and can help acclimate your child to being away from her family for extended periods. For these reasons, enrolling her in a pre-kindergarten program can be highly beneficial for your child. Participating in a variety of activities offers kids several benefits. If you’re thinking about enrolling your child in an after school program near Pembroke Pines, then continue reading to learn about the importance of these activities for children. As your child continues to grow and develop, you may notice that she is embracing new hobbies and likes. When you enroll your child in after school programs, this gives her a chance to pursue sports and activities that interest her. At the same time, giving your child the opportunity to begin a program of her choice allows her to try something new and develop a diverse set of interests. Whether it’s soccer, drama club, or band, enrolling your child in programs like these can give her a chance to discover a passion that she can continue to pursue in the future if she desires. While her academic classes can encourage teamwork, socialization, and confidence, after school programs can often do this to a greater extent and in a more relaxed setting. If your child tends to be shy, then enrolling her in after school activities may provide her with the outlet that she needs to interact more with others and build her self-esteem. While you may not associate sports and other programs with your child’s grades, recent studies have identified a correlation between better academic performance and the work and behavior habits that develop because of participation in after school programs. If your child is still young, then you may not be thinking as far ahead as college. However, no matter her age, fostering interests and passions now is a great way to help ensure that she continues to participate in activities through high school. No matter the type of after school programs that she ends up pursuing, being able to add these to her college application is an excellent way to improve her chances of acceptance. When you are preparing your child to begin kindergarten, you may find yourself wondering what you can do to help him succeed. Did you recently enroll your child in kindergarten in Pembroke Pines? If so, then watch this video for tips on helping him learn during this time. One of the best ways to ensure that your child is available to absorb his kindergarten curriculum is to develop a schedule that allows him 10 to 12 hours of sleep per night and to provide him with plenty of nutrition. Also, speaking with your child and having extended conversations with a back and forth exchange is a great way in which to improve his kindergarten readiness. At Tanglewood Academy, our summer day camp is designed to help kids get the most out of their summers while giving parents the opportunity to maintain their own responsibilities without worrying about child care and keeping kids entertained. Like our after-school programs, Tanglewood Academy’s summer camps in Pembroke Pines are built around fun learning activities to keep bodies and minds on the go during the summer months. Our summer day camp features benefits like low counselor-to-student ratios, educational field trips, and plenty of bonding opportunities for kids to positive friendships that can last for years to come. Both physical and cognitive activities are on the agenda daily, so kids get a chance to work out their bodies and their minds. The skills and relationships kids build at our summer day camp will benefit them both in and out of the classroom when school is back in session. Talk to a camp counselor or other staff member to find out if Tanglewood Academy camp could be right for your child.